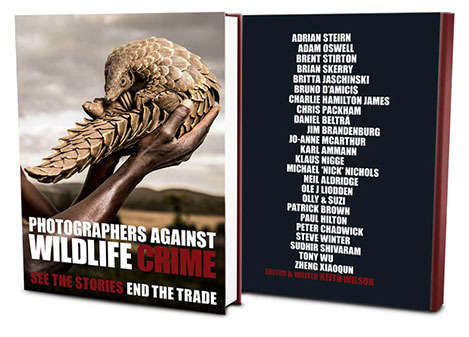 I'm proud to be included in such a highly esteemed group of international photographers in the book Photographers Against Wildlife Crime, released May, 2018. I wrote the Afterword for the book. The first edition is almost sold out, so if you'd like a copy of the book, please scroll down on this website and order soon through the following link. A Chinese edition (in Mandarin & English language) will be released soon. The book and its exhibit will be presented at the 22nd Montier International Photo Festival in Montier-en-Der, France Nov. 15–18. I'm happy to be attending its booth over the weekend along with other photographers featured in the book. The Montier festival is the largest nature photography festival in the world, located in the Champagne district of France. A few years ago, I was named Parrain (Honorary Godfather) for the festival. Over 40,000 people typically attend the weekend event. After Jim finished shooting winter, the entire year is now complete. 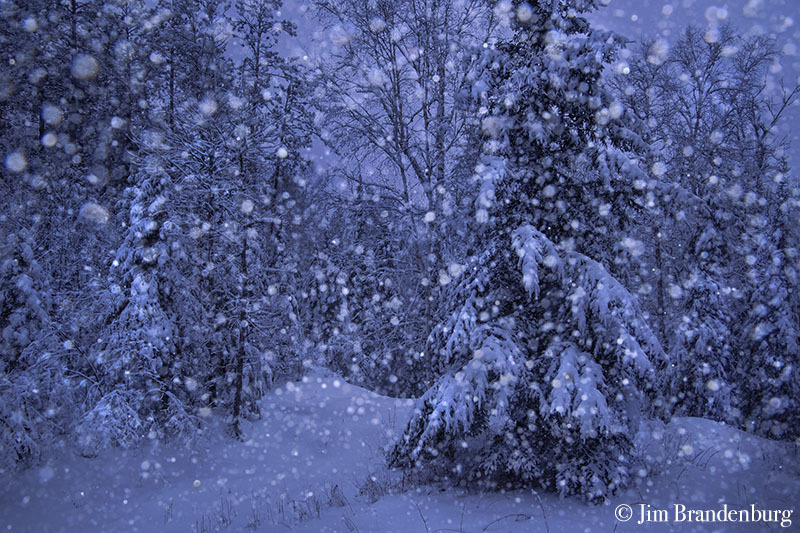 On March 21, 2018 Jim finished a milestone of making a photo of every day of Minnesota's four seasons. After shooting winter, the entire year is now complete. The project began with autumn in 1994; he set the goal of making only one photograph each day, all shot on negative film. His bestseller book Chased by the Light followed. The entire 90 days were published in National Geographic Magazine November 1997, titled "North Woods Journal". It set the record of the most photographs in one feature in the magazine’s 125-year history and by-the-way with the least amount of film. Summer was shot in 2001 using his first digital camera; each photo had a file size of much less than today’s hi res cameras. The summer season was published in National Geographic in the June 2003 issue titled "Boundary Waters". This set another record by being the first feature in NGM using a digital camera. The book Looking for the Summer followed. 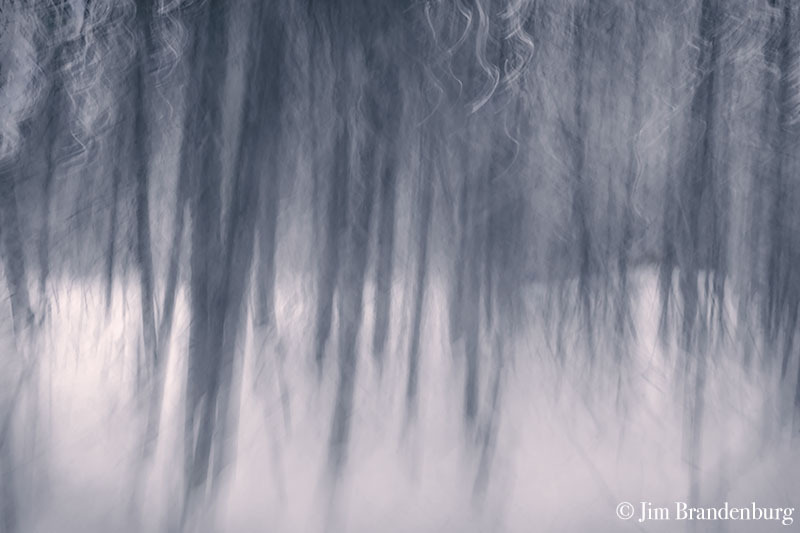 Jim shot spring in 2014, using his latest digital cameras. Once again NGS published all 93 photographs April 2016 in "93 Spring Days". He broke his own 90 photos in one feature record with NGM. 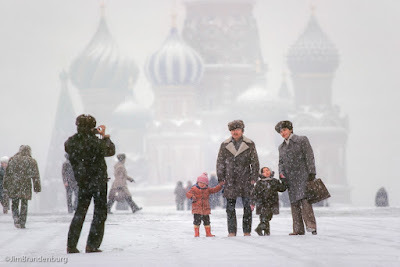 As a point of reference and to show the extreme advancement of today's equipment, his winter images average at 130 megabytes each. He shot most with the new Nikon D850 mostly using Zeiss 18mm and 85mm prime lenses. The difference in quality of the images from all seasons is profound. Some of his new winter images are now on display at our Ely Brandenburg Gallery. Stop in to see all his latest work. We will keep you posted as to our plans of publishing the entire years work in one book! 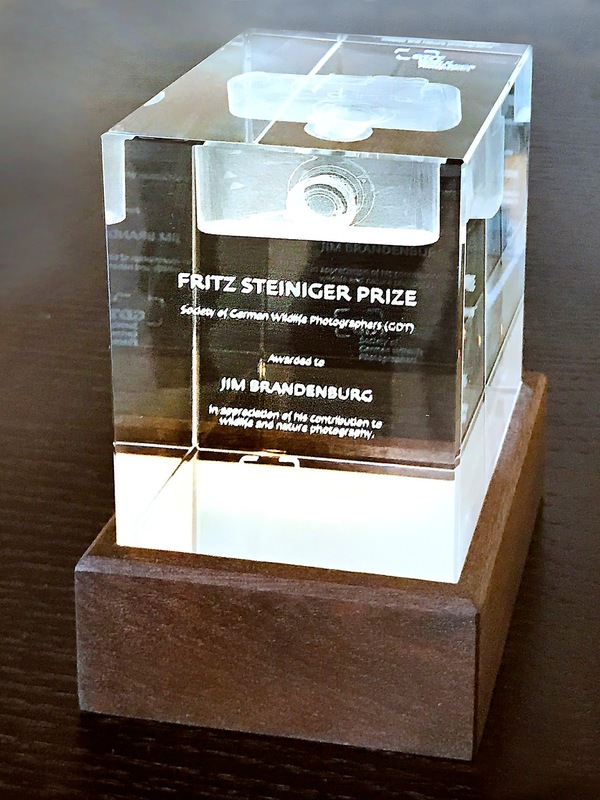 Press Release from the German Society of Nature Photographers (GDT) honors Jim Brandenburg with Fritz Steiniger Award in recognition for his extraordinary contribution to nature photography. "It was indeed an honor to have received this esteemed recognition from my European peers last week." 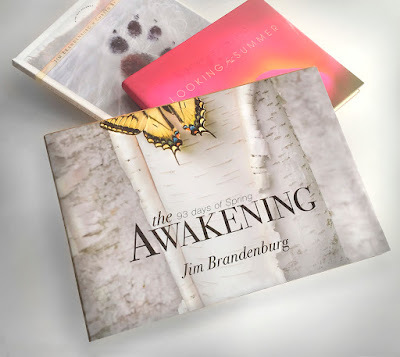 Jim Brandenburg – photographer, film maker, author, art historian, photo journalist and conservationist. This US-citizen's biography, born in Minnesota in 1945, is as impressive as the man himself. If you were to describe him in three words only, it probably would be curiosity, empathy and modesty. An extraordinary talent, whose images and films continue to enrich the world significantly. 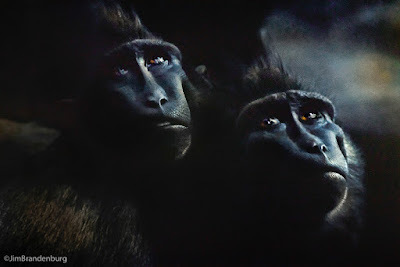 Promoting issues of nature conservation through expressive photography has always been a major concern to him. Captivated by the prairies of his native Minnesota from an early age, he founded the Brandenburg Prairie Foundation in 1999, an organisation dedicated to the protection of this highly endangered habitat. In addition, the committed conservationist regularly produces pieces for television, radio and the internet to inform a wider public audience about other environmental issues. About the Fritz Steiniger Award Professor – Fritz Steiniger was one of the founding fathers of the GDT, who had significant influence on the society's development throughout its first years. 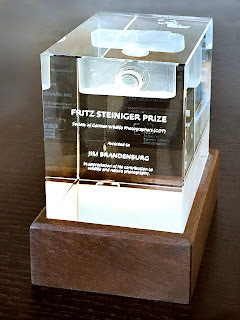 Dedicated to his memory, the GDT named its most supreme award Fritz Steiniger Award, which is given away for special contribution to nature photography. The first photographer to receive the award in 1986 was Herbert Erich Maas. 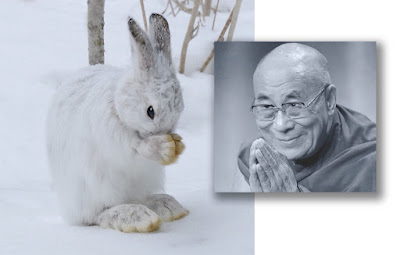 Over the years, he was followed by Heinz Sielmann, Fritz Pölking, Horst Niesters, Frans Lanting, Klaus Nigge, Dietmar Nill, Winfried Wisniewski, Hannu Hautala and Steven Dalton. 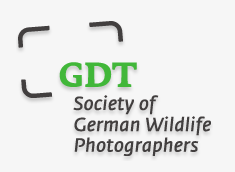 It is an honor to announce Jim has just received the Fritz Steiniger Prize 2017 from GDT Society of German Wildlife Photographers for his extraordinary contribution to nature photography. The award will be presented to Jim on Saturday, October 28, 2017 during the GDT Nature Photography Festival in Lünen, Germany. 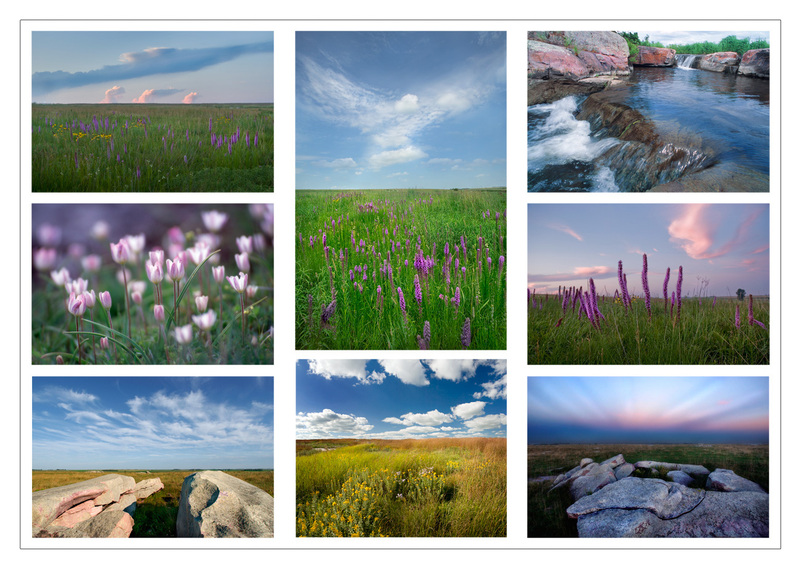 Jim's Touch the Sky Prairie exhibit is currently showing at Legacy of the Lakes Museum in Alexandria, Mn through October 31, 2017. Touch the Sky is a tribute to the breathtaking vistas and iconic creatures of the American prairie. 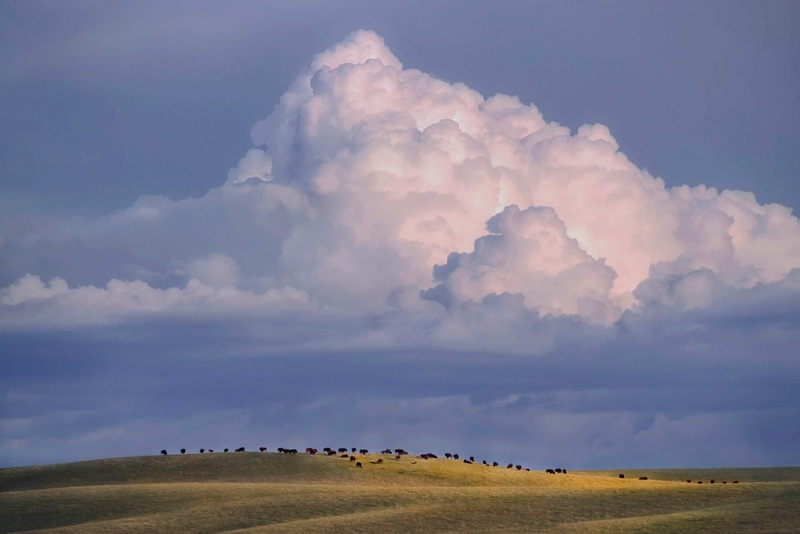 World-renowned nature photographer Jim Brandenburg captures the wide-open magnificence of the prairie, as well as its often over-looked intricate details. In panoramic images, we see great herds of bison as well as the lowly grasshopper, dragonfly and dove. Lightning storms and wildfire rage across the landscape, while delicate blossoms sway in the breeze and yellow cottonwood leaves rest on new fallen snow. Through these photos, Brandenburg reveals the cycles of life with both precision and aesthetic grace. 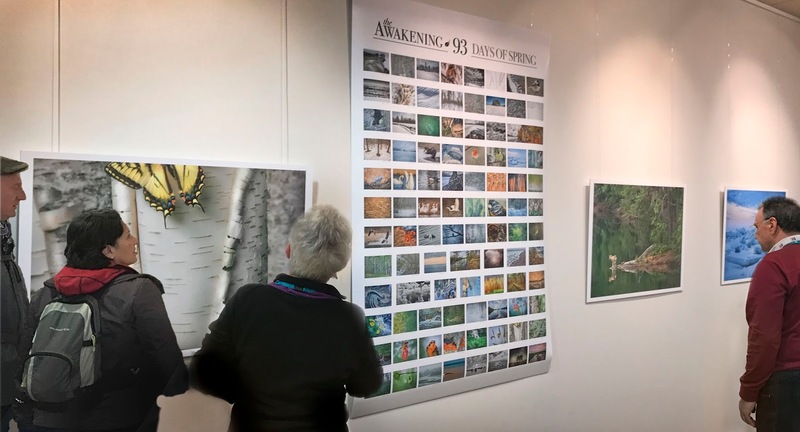 Though best known for his work with National Geographic and his portraits of wolves in the North Woods, Brandenburg has been returning in recent years to his prairie roots. 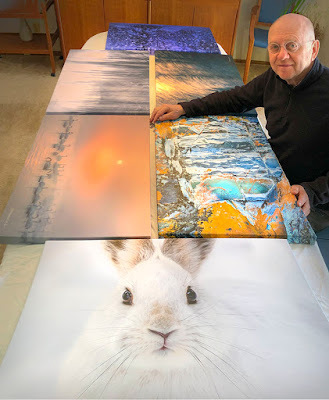 Growing up on the open, windblown prairies of southwest Minnesota, he started his photographic career with images of wildlife on a small, remnant patch of prairie near his grandfather's farm. Expanding from this Minnesota base, the exhibition includes images from prairies in Nebraska, Iowa, the Dakotas, Oklahoma, Illinois and other states. For Jim Brandenburg exhibit and event information, please visit our Events and Exhibits page on our blog. It is an honor for me to exhibit my work in the lovely Vosges Mountain area on the French/Swiss border in an outdoor photographic exhibition with the legendary images of Edward Curtis (1868-1952). I have long admired his epic documentary body of work on the Native American Indian. He has had a strong influence on my work since I was a boy and I am fortunate to have several of his prints in my home. I will be present at the official opening on July 15. “Sacred Land: From the Vosges to the Americas” Les Sentiers De La Photo, Edition 2017. This may be the most important Earth Day ever. 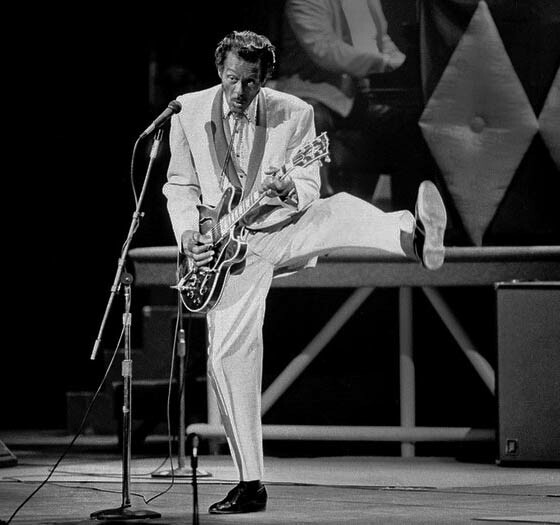 Today with the passing of music legend Chuck Berry my thoughts go back to the early days of my first career, music. One of the most memorable experiences was playing on stage along side Chuck Berry. I was a lead guitarist and at 17 years old felt more than a bit humbled. Looking back it seems like those were simpler times but it was not without stress and suffering in the professional music world of Rock and Roll. Surrounded by heavy alcohol use, drugs and abuse by those that controlled the music industry, the mad Rock and Roll life style of the day drove me to the profession that at the time was done by only a handful in the world - professional nature photography… an opposite world. Yet there were times I regretted the move, as music flows through my veins. It was a privilege for me to do the narration for the Big, Not Bad video, a project for the Endangered Species Coalition. There are many reasons I have lived with, admired and filmed wolves most of my life. The video shares a few of their remarkable traits. The year long campaign will give others a chance to express their thoughts and photos. 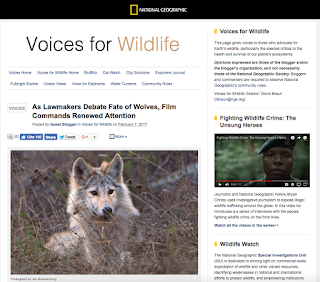 Medicine of the Wolf, the movie I was involved in that Julia Huffman directed and produced is featured on National Geographic's Voices for Wildlife page. The first photograph is a yearling wolf I called Blondie. She was shot by a hunter in the first Minnesota wolf hunt. She is the last wolf I've been able to photograph since the first hunt in 2011. I was honored when Minnesota Public Radio's Tom Weber spent a day with me at my home in the forest on the edge of the Boundary Waters last week. We talked of far ranging subjects such as the fascinating and complex culture of Ely, politics, the disappearance of the local wolf packs I have filmed for 35 years near my home and the future of the Boundary Waters in relation to mining. This broadcast today from 2-4pm is a 50-year anniversary special celebration of the founding of MPR. That coincides with my first coming to Ely 50 years ago. 2017 NEW YEAR MOVIE from jim brandenburg on Vimeo. 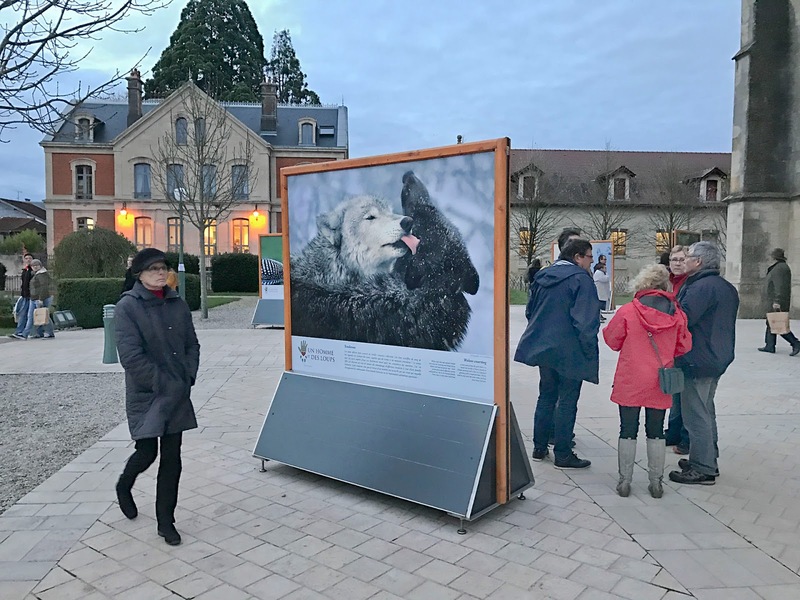 This past week, I have been in France working on a new movie and attending a nature photography exhibition of my work in Montier-en-Der, located in the champagne district of France. 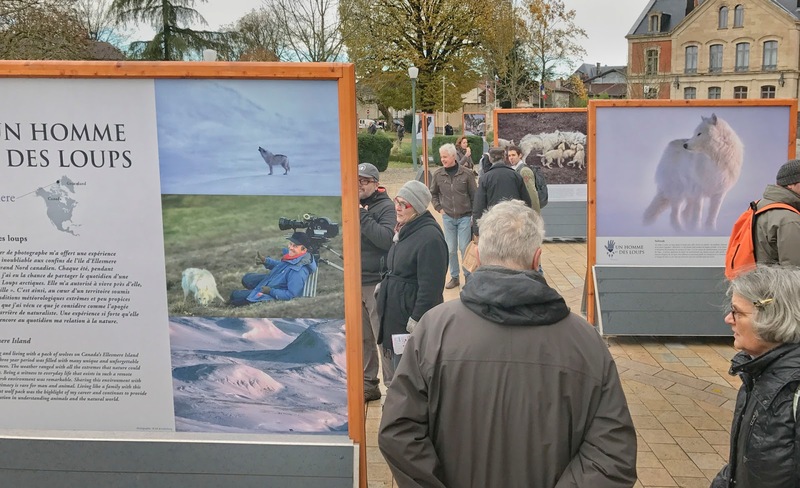 Montier-en-Der is a village of about 2,000 people and incredibly there are about 40,000 visitors that come over a period of 4 days to view the photography. With that, it is said by some to be the largest animal and nature photography festival in the world. 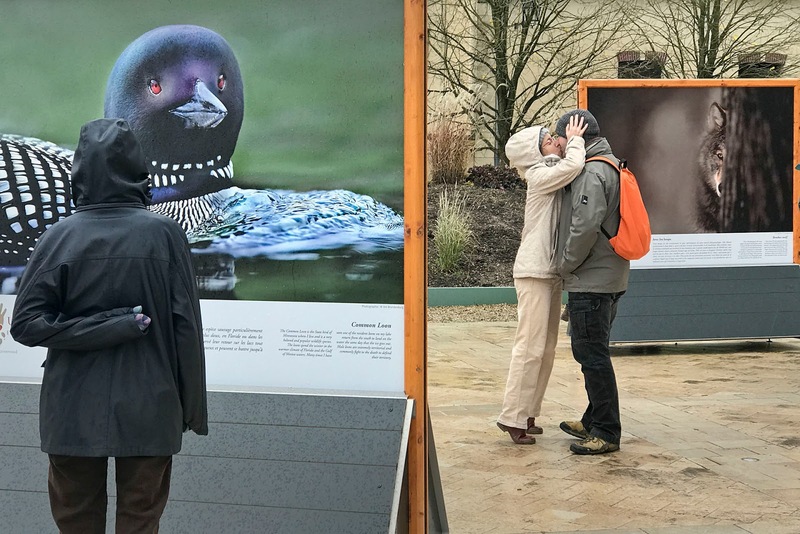 The French have a deep love of photography and nature, these numbers point this out. I was exhibiting with other European photographers. I was also fortunate to spend time with my good friend Matthieu Ricard, a Buddhist monk who lives in Nepal and has produced many best selling books on meditation, ethics, and photography. I have learned much from his work. 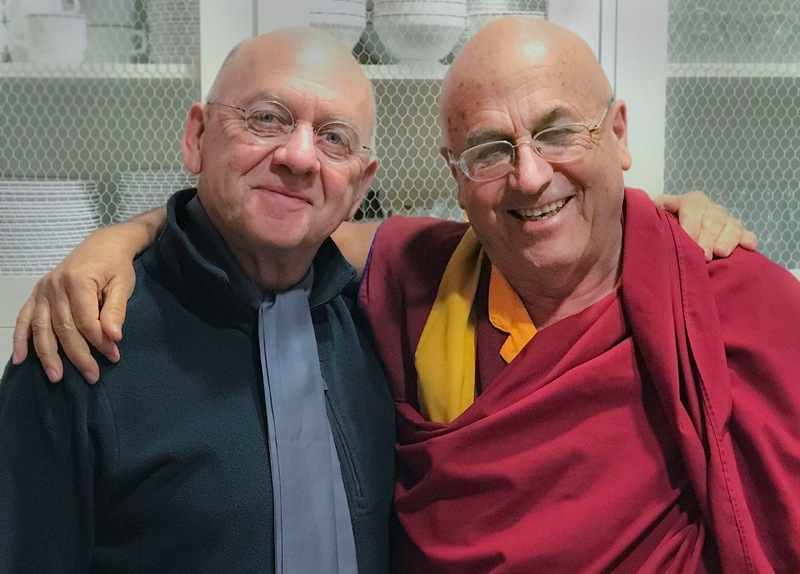 https://en.wikipedia.org/wiki/Matthieu_Ricard. Included here are some moments from two of my exhibits at Montier-en-Der. 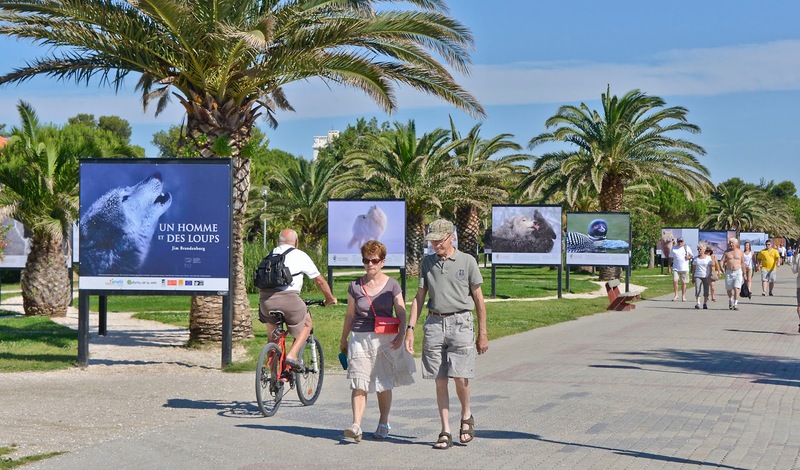 One large outdoor exhibit that travels around France is called Un Homme et des Loups – A Man and Wolves. The other indoor exhibit is The Awakening, the 93 days of spring that was in the May, 2016 issue of National Geographic magazine. "Blondie" the last wolf I have seen in the wild. A preview of The Awakening Spring Project. I will be in Washington, D.C. this week judging the 2016 National Geographic Nature Photographer of the Year competition. 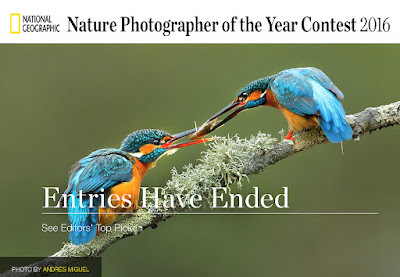 By judging nature photography competitions all around the world these past years, I have seen first hand how the quality of nature photography keeps getting better and better. Watch for the winners here. On a more serious side note, the dark “lost in the wilderness” atmosphere of Washington, D.C. today is a startling contrast to the natural and calming wildness I am familiar with living on the edge of our precious Boundary Waters Canoe Area Wilderness. The judging at the Geographic is just a few short blocks away from the White House. Vigilance is now needed to protect our sacred places from the new Trump agendas and coming attacks. This Hermann Hesse Tree essay is "big nature" wisdom that is worth reading in these chaotic times. This week National Geographic Germany is sponsoring my retrospective exhibit 'A Pristine Vision' at Photokina, the world's premier photo expo in Cologne, Germany. My plan was to do a presentation on Thursday, Sept. 22, but after climbing on a glacier recently in the Swiss Alps while filming for a new movie, an injury progressed into the need for a minor medical procedure which prevents international travel. I will share more about the new movie later. Gerd Ludwig, a National Geographic colleague with much experience and many stories will be filling my time slot. 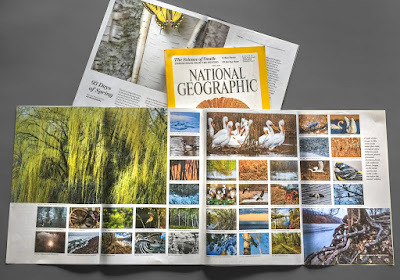 Published in National Geographic Magazine (April Issue): "93 Days of Spring"
The April issue of National Geographic has now been shipped and includes a collection of photographs from Jim’s project titled 93 Days of Spring. This is the third story in the magazine that documents a season day by day. 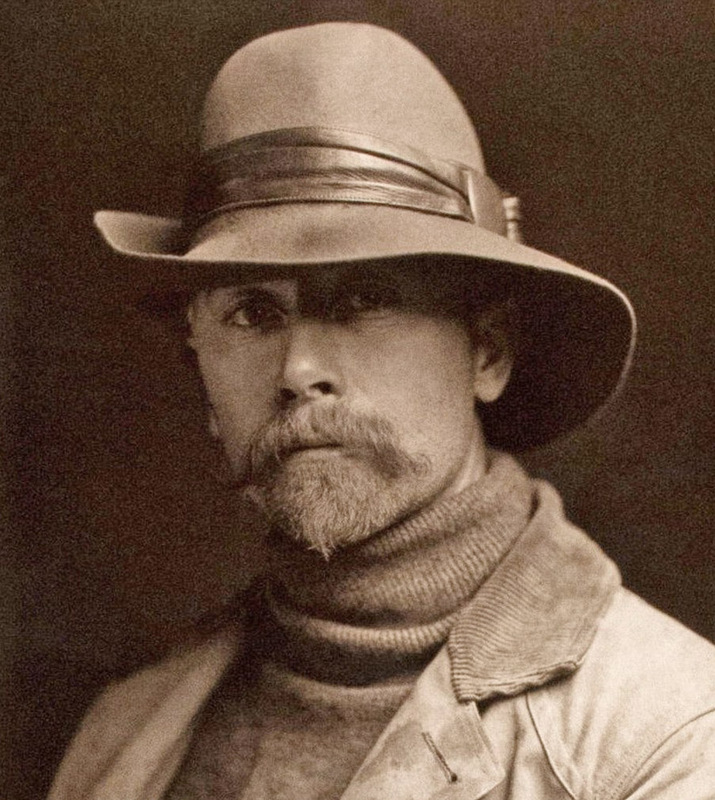 The previous two seasons were "North Woods Journal" which covered the 90 days of autumn, and "Boundary Waters" which documented the summer season. Like the previous two stories, all of the photographs in the spring coverage were made in Minnesota. 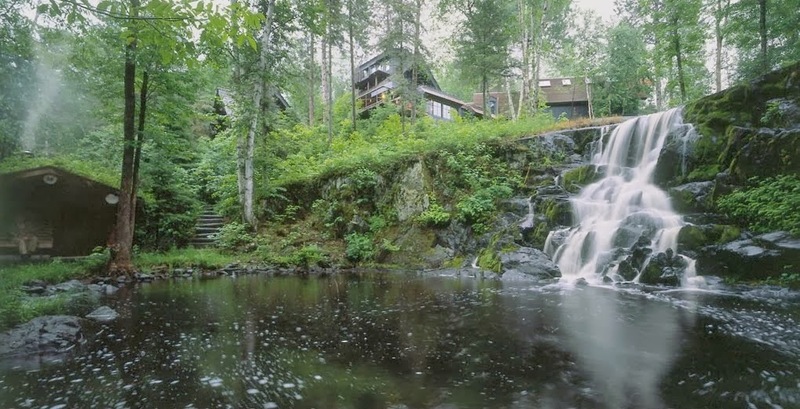 Most of the images were made in and around Ravenwood where Jim makes his home — next to the Boundary Waters Canoe Area Wilderness. 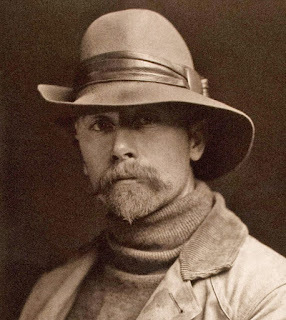 The other photographs were made in areas he has lived and has known well. The last four photos are from Touch the Sky Prairie — a mile from where he was born near Luverne, and the Blue Mounds State Park, where he made his first photographs as a young boy. 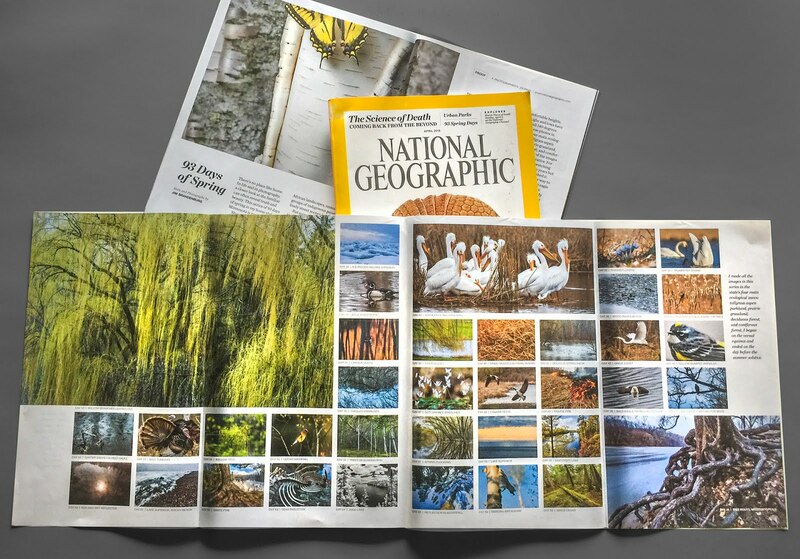 The "93 Days of Spring" contains the most number of photographs in the 128-year history of National Geographic Magazine. The previous record was the 90 images published in "North Woods Journal". The summer picture story "Boundary Waters" from the June 2013 issue was the very first digital photography story published in the magazine’s history. 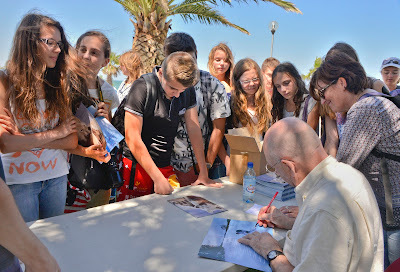 A book will also be published from the spring project titled The Awakening. This book follows the best sellers Looking for the Summer and Chased by the Light from the summer and autumn seasonal coverage. The release of the new book will be announced later. This project follows the disciplined theme he has been pursuing with other projects like Nature 365, which is now online as a daily video moment for the entire year. Millions of viewers have witnessed the nature of Jim’s surroundings. Jim is honored to be included in the ‘Children of the Sea’ waterfront exhibition in Argelès-sur-Mer, in southern France near the border with Spain. 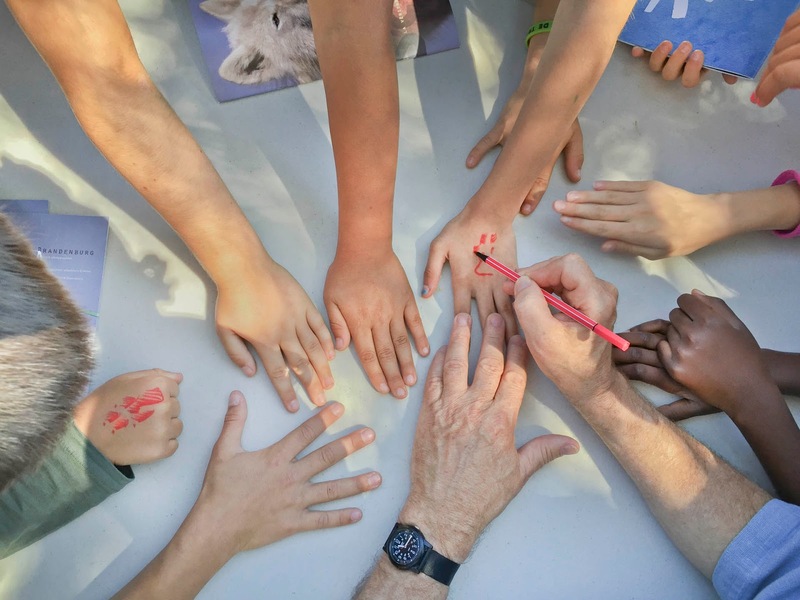 It is the 7th consecutive year of their unique program that features Education for Sustainable Development with this years title Boréal. 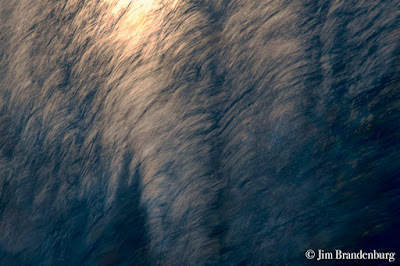 Jim’s portion consists of images of wolves and the boreal forest around his home near the Canadian border of Minnesota. 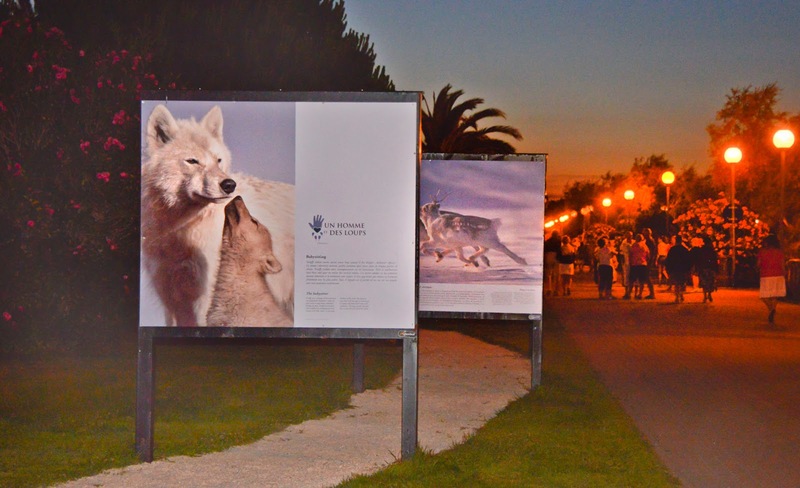 Adjoining shows feature photographs of Finland by French photographers Olivier Larrey and Thomas Roger. The outdoor exhibit opened on April 10 and closes on October 16, 2015; a million people are expected to view the exhibit in the 7 months of display. 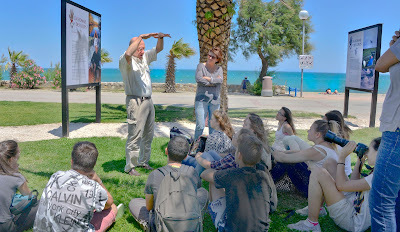 Jim talking to students, Mediterranean Sea in the background. Jim drawing wolf tracks on children's hands. 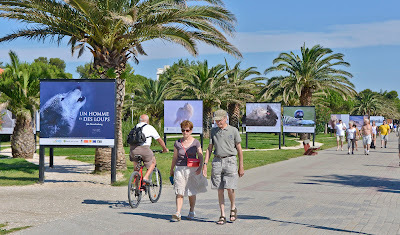 Viewing of exhibit continues well into the evening at Argeles. You can sign up for daily email reminder here. MPR Tom Weber interview with Jim Brandenburg aired today. 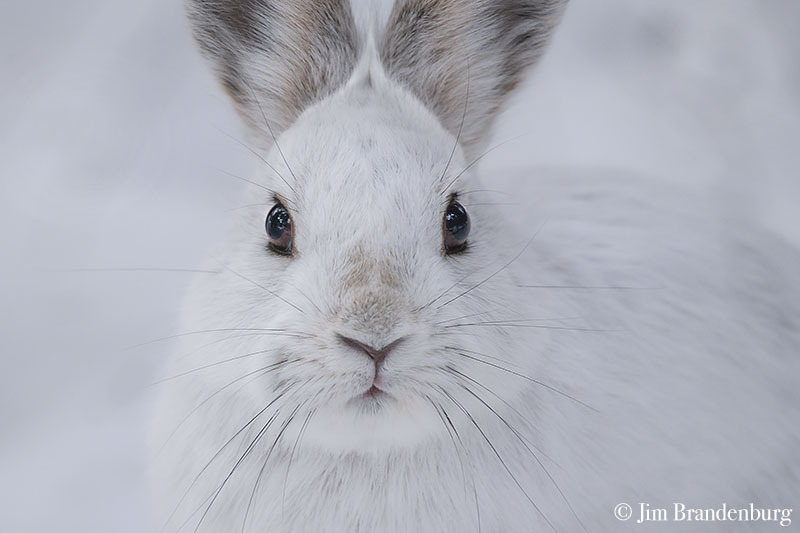 Jim was on Minnesota Public Radio today with Tom Weber talking about his new project Nature365 and some thoughts about the wolf hunt. We hope you'll tune in. You can see the daily video at our Facebook page: https://www.facebook.com/jimbrandenburg. You can sign up for daily email reminder here. Our thoughts are with the victims and their loved ones of the shooting in Paris today. We have a colleague, Fabrice Nicolino that was shot and severely wounded in the incident. He is an environmental journalist and strong advocate of the wolf. He is a close friend with some members of our NATURE 365 team. He was an unfortunate victim of hate like the wolves he has tried so hard to protect. We wish him well in his recovery efforts. I'm sure his voice will soon ring again as loudly as the wolf howls that echo in the forests of the world. For many of us this is now a time of reflection. As I recount things that have touched my life this past year I am fairly startled, elated. Rarely have I seen such a dramatic swing of events that have caused such huge consequences on my immediate environment and myself. However there was one recent event that now stands out above the others. In later days I will share in this space other events and new exciting projects that I have been involved in this past year. 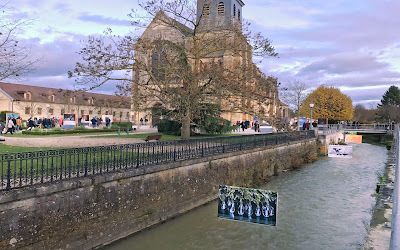 This last day of the year finds me in Western France putting some final touches on a project that will be shared with you each day for the next year. It is a daily journal that has been made from the world I have lived in for the past dozen or more years. It is my nature to make photographs, a deep instinct to frame and record my surroundings. I am rarely without a camera. This series starts with the use of the first exciting and irresistible High Definition cameras that became available to me. Alas, I look with sadness now upon my other previous hundreds of hours of older lower resolution and 16 mm film footage that is sleeping and hidden in boxes. Most of this more recent HD time was spent at Ravenwood, my home and property in the wild northern forest of Minnesota. I have also filmed extensively on the vast native prairies to the south, especially on the 1,000-acre tall grass prairie preserve called Touch the Sky Prairie that my foundation has helped to protect in southern Minnesota. This land is sacred in another way to me because it is my birthplace. Another sacred story will make an occasional and elusive appearance in NATURE 365. The People that came before us lived in harmony with nature here for thousands of years. Those echoes ring in my ears as I canoe the lakes of Ravenwood and surrounding wilderness. The echoes started coming to me early as a boy when I walked the prairies of my youth. 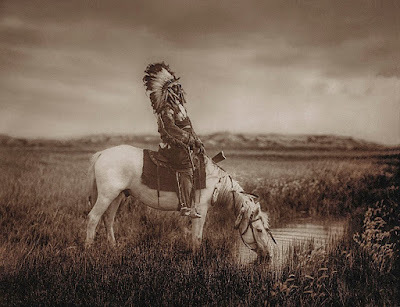 Over the years I attempted to film the Native American spirit that seemed ever-present to me. Re-enactments were produced and played out with ways of showing that long passed existence. The plan was to one day make a collection just of those re-enactments. It never came to be. Occasionally now, there will be a brief appearance from that footage in this series. I hope it is taken in the context and respect that it was intended. These many years of collected moments have accumulated and now have finally become an archive of hundreds of hours of HD video. Some material was produced from assigned television documentary productions I was involved in, but most were simply shot as I saw the day’s natural moments appear and progress in front of me. The complete 365 day’s moments total 6 hours of video that will be shared. Please watch the daily videos on www.nature365.tv and meet my gifted French colleague and friend Laurent Joffrion in the trailer, whose idea it was to produce this innovative web-documentary. I am honored and thrilled at what he has selected, edited and assembled from my many wanderings over the years. It feels as if I am seeing some of these moments for the very first time myself. In particular I have been living with and filming the wolves of my wild Ravenwood for more than 35 years and consider them like family. Knowing each of their individual personalities has caused me to have quite deep, complex and emotional feelings about them and their situation. I have known some since they were born and watched them grow and mature into mothers and fathers. 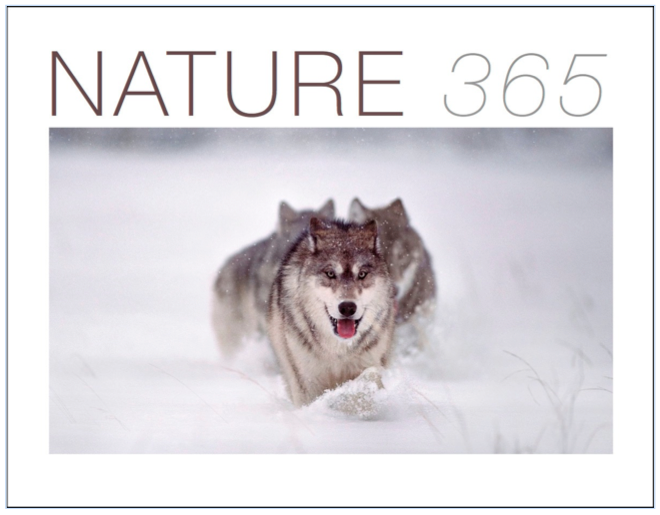 The wolves are a predominant theme and regular subject in NATURE 365. Most of these rare moments have never been seen by the public. Some moments will surprise even those that study wolves. I know of no one who has spent more time in the midst of wild wolves in such an intimate way. Sadly, for the past three years a misguided wolf hunt was put in place by the Minnesota Department of Natural Resources. Never in my wildest dreams would I ever have imagined this development. I had foolishly thought that in people’s minds, the wolf had evolved to a higher place from the generations of “Little Red Riding Hood” myth type of thinking. 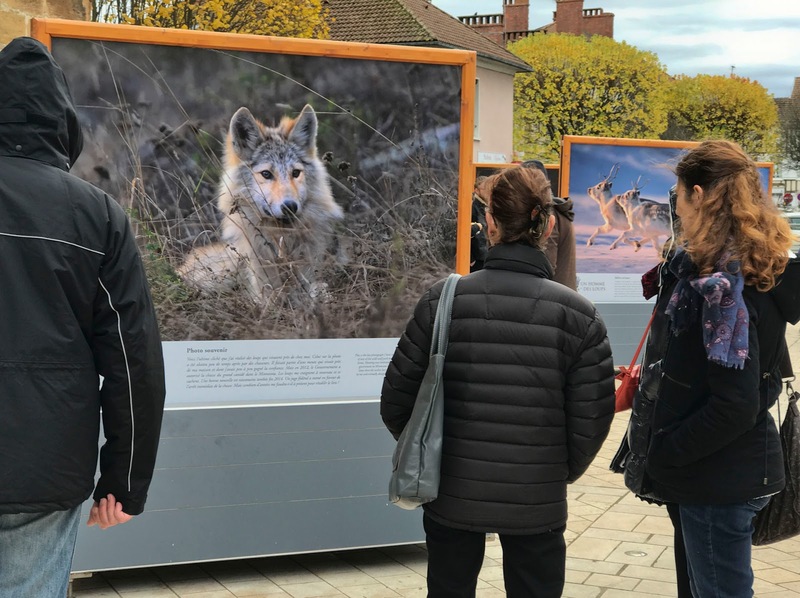 I had even naively thought my work from years of publishing books, magazine articles and movies had contributed to a more respected understanding of the wolf. Consequently from the beginning of the wolf hunt, it became nearly impossible for me to live in the ‘war zone’ that my northwoods home and sanctuary had become. The pack disbanded, dispersed and virtually disappeared from sight. The few that remained lost trust in me from the trauma of the hunt. Crucial family members of the pack were now missing and presumed dead. 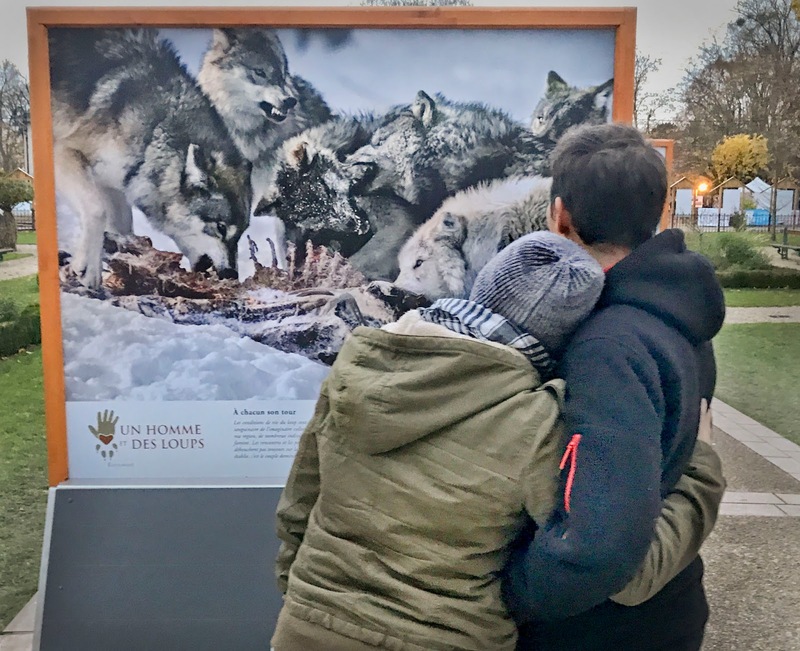 Three members of the pack were known to have been shot, the alpha male and father of several generations of pups was illegally shot and killed before the delisting of wolves from the protected list. I have not seen or photographed a wolf for almost 3 years where I had encountered them nearly everyday in the past. Then, and surprisingly on December 19th, Federal District Court Judge Beryl A. Howell, for the United States District Court for the District of Columbia ruled that the wolf would go back to a protected status as a threatened species in Minnesota and the wolf hunt must end immediately. My mind and spirit are still spinning. Now there is a new hope and renewed faith. 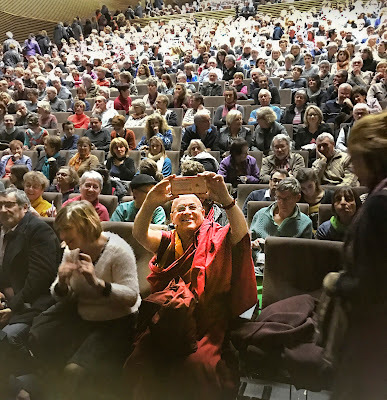 With that, I invite you to celebrate with me as you watch some of those remarkable daily impressions that came from that mysterious and often secret wolf world I was privileged to be absorbed in. Tomorrow you may view the premier showing of day one from the Nature 365 project. In the spirit of the fine judge’s ruling the celebration that you see and hear on New Year’s Day are the large pack of my old beloved 4-legged friends singing around midnight under a spectacular Northern Lights display near my home in the snow covered northern forest. The time-lapse cameras clicked away alone on frozen Snowbank Lake through midnight into the morning dawn. My sound recorder captured the pack’s primal chorus next to my cabin as I slept. Nature was in the fullest glory. I hope you are able to take as much pleasure from these moments as I did collecting them. I would like to think of these one-minute glimpses into my world as an opportunity for you to share an almost meditative-like ritual that speaks of the calm and peace that nature has been able to so elegantly provide us. Welcome to photographer and filmmaker Jim Brandenburg's blog. We update this site frequently with Jim's latest images, time-lapse photography, video, events, and thoughts. To view more images or purchase any of these images, please visit our website. Click on the images to view them at a larger size, but please respect Jim's work and do not use without permission. All images are copyrighted. 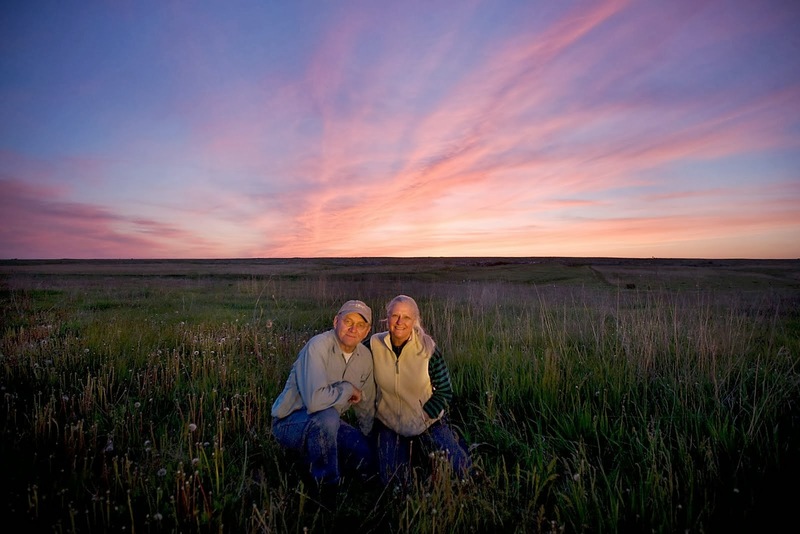 The Brandenburg Prairie Foundation was founded in 1999 by photographer and filmmaker Jim Brandenburg with a mission to promote, preserve and expand the native prairie in southwest Minnesota. Interested in helping the Brandenburg Prairie Foundation? Please consider donating. 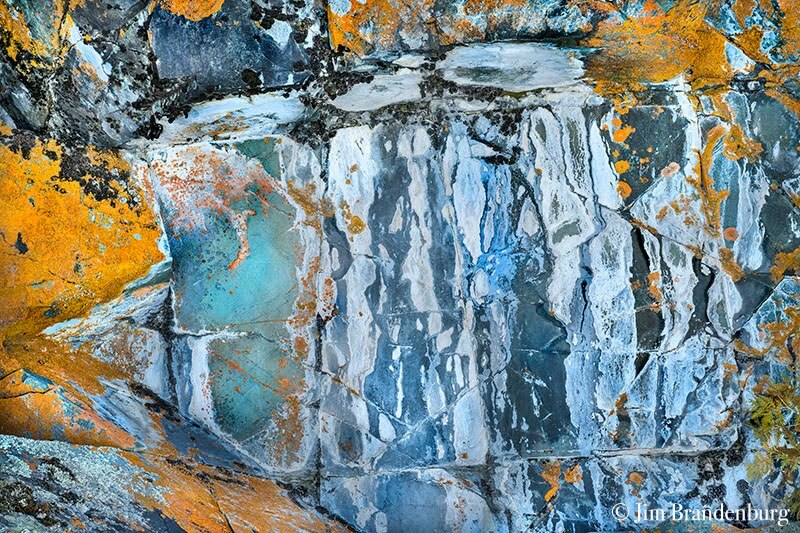 All material on this site is copyright ©Jim Brandenburg. 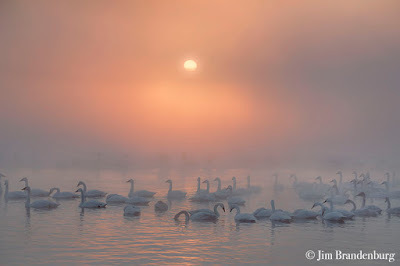 Any images, time lapse photography or video used anywhere, including the internet, without written permission from Jim Brandenburg or his staff would be considered a copyright violation. 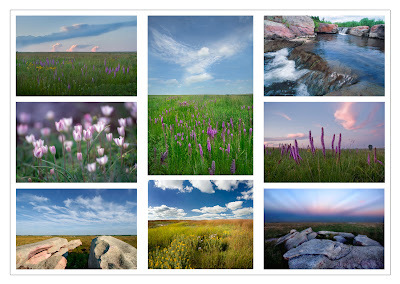 Please contact info@jimbrandenburg.com if you are interested in using any of Jim's images. Thank you for respecting Jim's work and the US Copyright Law. ©JimBrandenburg. Simple theme. Powered by Blogger.